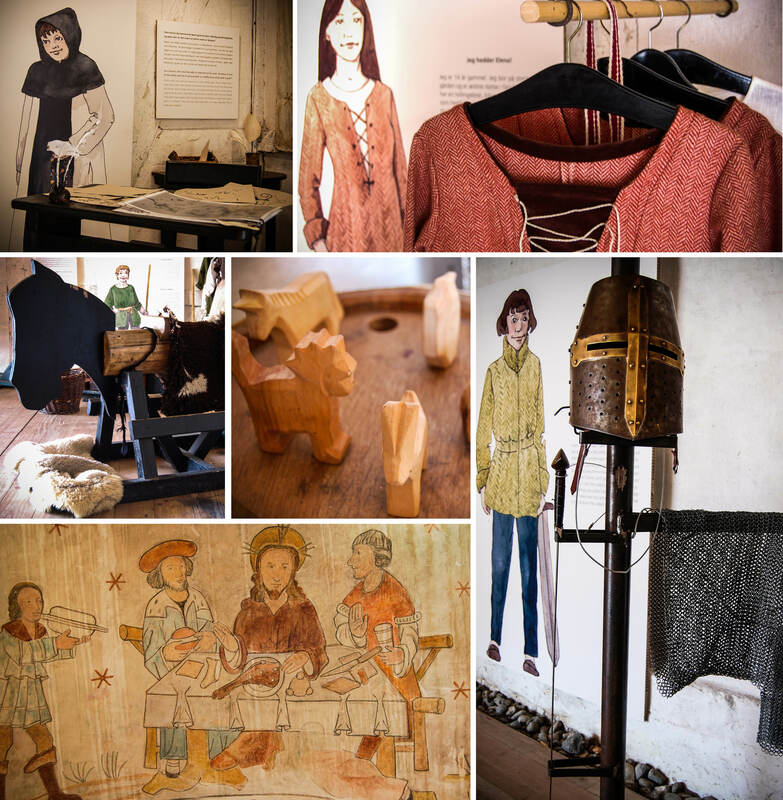 Year 1335 – Medieval Denmark! Welcome to the Children’s Barn – this is where the stories from the Nature-playground about five young children living in the Middle ages is continued. Pretend you are in a Medieval world by dressing up, measuring your strength in a knights’ tournament and sword fight, writing the gothic alphabet with a quill and ink, and challenging your mathematical abilities by administrating a household like the noble children did. Act out your inner craftsman, build a bow, and dream yourself back to a world filled with mythical creatures from faraway lands. 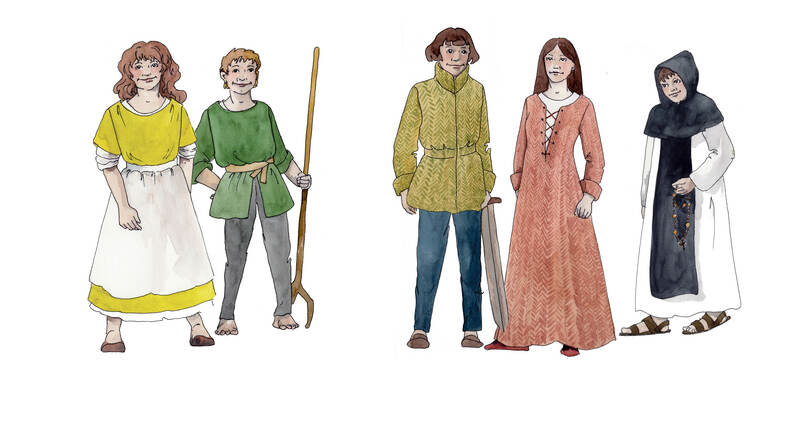 Also you can figure out which of the children from the Middle ages you would be, if you were born then. In the Children’s Barn, the stories of the herring barrel, the trebuchet, and the pigs from the Nature-Playground are continued. Does the cooper’s daughter travel the world, or does she marry the tenant farmer’s son? And does the tenant farmer’s son choose to become a lay brother or a master builder? You can visit the Children’s Barn at the yard in the Abbey, and it is open at the same hours as the Abbey.